Just before the end of 2017, Congress passed a comprehensive tax bill that changed the landscape of mortgage interest deductions. For homeowners with home-equity lines, commonly known as HELOCS, the changes may warrant a reconsideration of how to best manage that debt. 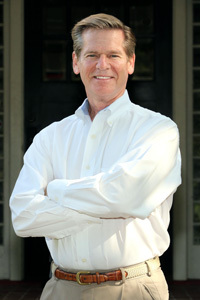 Here, Mark Wells of Preferred Financial Services answers questions about the new tax laws. I know that the mortgage-interest deduction was changed by the new laws. Do the changes only affect home-equity lines? No, there were comprehensive changes to first-mortgage interest deductions also. Previously, a homeowner could deduct mortgage interest on any mortgages for their primary residence whose balances totaled $1 million or less. Under the new tax law, interest can only be deducted for mortgages whose balances total $750,000 or less. Does the law apply retroactively to existing mortgages? No, all homes purchased prior to December 15, 2017 will be grandfathered into the older aggregate balance of $1 million. I bought my home a few years ago, my mortgage balances are under $1 million, and I have a HELOC. Do I need to consider the new tax laws? I’m grandfathered, aren’t I? For all first mortgages, you are grandfathered. However, the new tax laws no longer allow for any second mortgage interest (equity line or HELOC), to be deducted. What do you suggest I do about my HELOC, then? It may be a good time to consider refinancing and rolling the balance of your HELOC into a first mortgage. Then all the interest you are paying will be deductible again. How do I know if this is a good move for me? There are several factors to consider: The interest rate on a HELOC is generally higher than the rates available for fixed-rate first mortgages, so you might pick up a slight rate advantage. 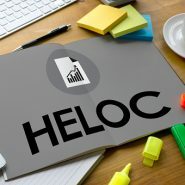 Perhaps more importantly, the interest rate on a HELOC is tied to the prime rate, which can move upward, and is expected to move upward in the coming year. Refinancing your HELOC to a fixed-rate mortgage takes away the unknown factor of rising interest rates and their impact on your borrowing costs. Finally, we find that most people use their HELOC’s very much like a credit card; they access the money but don’t tend to pay off the balance over time. Refinancing to a fixed-rate mortgage will ‘force’ the repayment of the balance as the loan amortizes and pays down. This can be a good financial move just because of the discipline it brings to managing debt. I welcome questions and comments and can provide a comprehensive review of your current mortgage situation to see if refinancing your HELOC may be beneficial. I can be reached at 864-235-9596 or via email at Mark@TheGreatestRates.com.